Waikīkī was well-suited for Hawaiian shallow-draft canoes that did not require deep water and could be easily beached. On shore, Waikīkī was famous for its fishponds with one listing citing 45 ponds. The ten fishponds at Kālia were loko puʻuone (isolated shore fishponds formed by a barrier sand berm) with salt-water lens intrusion and fresh water entering from upland ʻauwai (irrigation canals.) These were later used as duck ponds. Toward the beginning of the 1900s, downtown Honolulu was the destination for Hawaiian visitors, who numbered only about 3,000. While Honolulu had numerous hotels, there were few places to stay in Waikīkī. 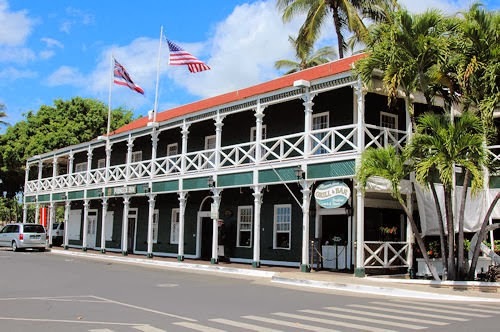 In 1891, at Kālia, the ‘Old Waikiki’ opened as a bathhouse, one of the first places in Waikīkī to offer rooms for overnight guests. It was later redeveloped in 1928 as the Niumalu Hotel; the site eventually became the Hilton Hawaiian Village. The Army started filling in the fishponds which covered most of the Fort site – pumping fill from the ocean continuously for nearly a year in order to build up an area on which permanent structures could be built. Thus, the Army began the transformation of Waikīkī from wetlands to solid ground. As part of the government’s Waikīkī Land Reclamation project, the Waikīkī landscape was further transformed with the construction of the Ala Wai Drainage Canal – begun in 1921 and completed in 1928 – resulted in the draining and filling in of the ponds and irrigated fields of Waikīkī. During the 1920s (before Ala Moana Park,) a barge channel was dredged parallel to the shore through the coral reef to connect Kewalo Basin to Fort DeRussy. Smaller boats, moored in the dredged area, also traveled along this channel to Kewalo Basin to get out to sea. 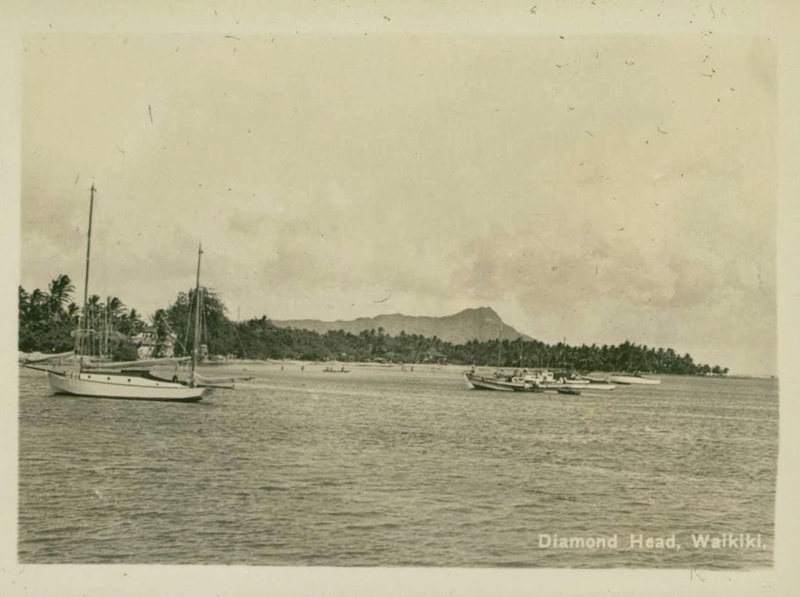 While no formal facilities were built, boats anchored in the nearshore waters; this was the beginning of the Ala Wai Boat Harbor. Portions of the coastal area were used as a public park (1936-1947.) Around this time, the land was conveyed from the City to the State (1949) and some land-based boat-related uses started popping up. Over the years, the Harbor grew incrementally. The Ala Wai Small Boat Harbor is the State’s largest recreational boat harbor, among the fifty-four (54) small boat harbors, launching ramps, jetties, wharves and landings statewide transferred from the Department of Transportation to the Department of Land and Natural Resources, Division of Boating and Ocean Recreation. It consists of about 700 berths and over 60 moorings accommodating boats up to eighty (80) feet in length. There are also dry berthing spaces, a harbor agent’s office, comfort stations, showers, paved parking, a launching ramp and pier. In 2010, there were nearly 309-million people in the U.S. There were close to 12.5-million registered recreational water vessels in that year, meaning that about 4% of our population owns a recreational watercraft of some sort. The image shows boats moored at what is now the Ala Wai Boat Harbor (1935.) In addition, I have added others similar images in a folder of like name in the Photos section on my Facebook and Google+ pages. The natural waterways supplying these taro patches were eventually re-routed to provide fresh water for the community as Lāhainā grew. Starting as a modest 10-room hotel with a common bathroom down the hall when it was initially completed in late-1901, it remains open today with 34-modern guest rooms. New construction in 1965, that matches the 1901 waterfront wing and removal of the theater behind the hotel, added two sides and two wings to the block. Of the two new wings, the lower floors are businesses and the upper are hotel rooms. The original wing retains offices, restaurant and bar. Almost immediately following the completion of his hotel, Freeland began forming subsidiaries of the Pioneer Hotel Company; the Pioneer Saloon, the Pioneer Theatre, the Pioneer garage and the Pioneer Wholesale Liquor Company. Later, prohibition on the continent meant that George was forced to shut down his liquor company. The saloon became the hotel’s business office. The Pioneer Inn was later joined by resort development at Kāʻanapali Beach Resort (Royal Lāhainā 1961, then the Sheraton, 1962) and the Kapalua Resort (Kapalua Bay Hotel, 1978) – and a lot of other development along the West Maui Coast. The image shows Pioneer Inn. In addition, I have added related images in a folder of like name in the Photos section on my Facebook and Google+ pages. Hoomanu‘a i ke one o Awalua, konohikilua ka lā iā Olowalu, i ka lā‘i ka makani kahi ‘ao‘ao, Na Ukumehame ka nau o ka makani. 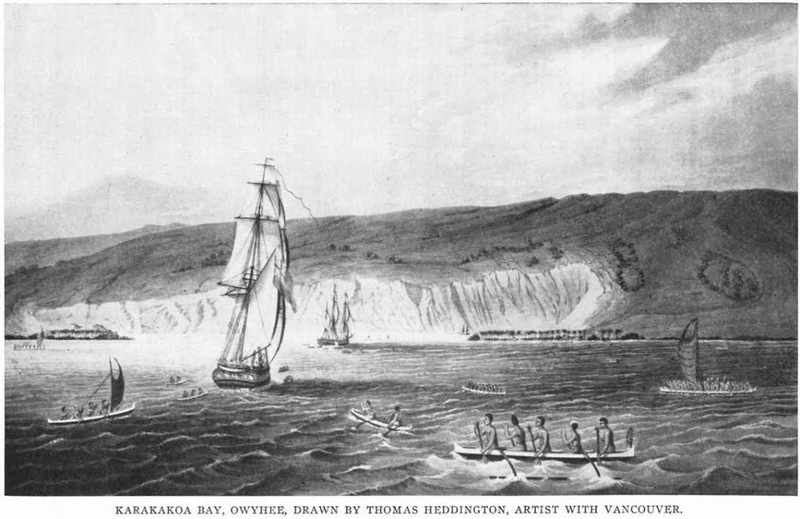 The wind was so strong at times, that it would shred the sails of vessels trying to traverse the coastline by sea (as noted in Nūpepa Kūʻokoʻa, 1868:) Ke holo nei ka moku a kūpono i Ukumehame, nānā aku i ka makani wili ko‘okai i ka moana, kahea mai ‘ia ke Kāpena i nā sela a pū‘ā i nā pe‘a, e hao mai ana ka makani pau nā pe‘a i ka nahaehae. 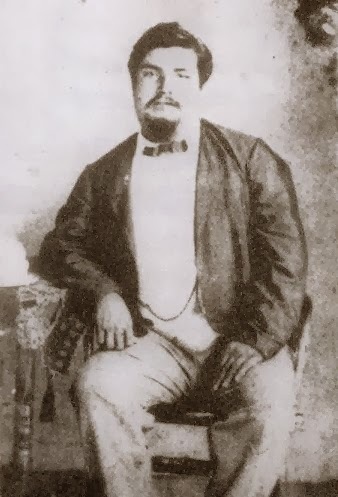 It is in this setting in the 1870s that Daniel McGregor, an interisland trader delivering supplies and bound for Māʻalaea on a stormy night, was determined to find an alternative landing for the night. McGregor sent sailors forward with lead lines to sound the water, while he scanned the shoreline for an adequate anchorage. In the wee hours of the morning, when the winds diminished and the water became significantly shallower, McGregor ordered the anchor dropped for the night. With the light of the morning, McGregor awoke to find that he had discovered an excellent cove with a protecting point. The point, just over a mile southwest of Māʻalaea Bay, continues to bear his name. In 1877, Wilder Steamship Company initiated passenger and freight service between the Hawaiian Islands. At that time, there were few navigational aids, so the steamship company was forced to erect lighted beacons for the safety of its own vessels. One of these private aids was placed at Māʻalaea Bay in the 1880s and was an ordinary lantern, fitted with red glass and displayed from a post. In 1903, land was acquired on McGregor Point and a light was placed on the point to replace the one at Māʻalaea. This was later upgraded in 1915. The area is known for another famous landing. On February 18, 1881, The “Beta” under the command of Captain Christian L’Orange, an early plantation owner who was commissioned by King Kalākaua to bring 600-Scandinavian immigrants who had signed on to work in the booming sugar plantations. McGregor Point Lookout is a popular vantage point for seeing humpback whales from land. From here, you have a sweeping view of the ocean. Humpback whales arrive in Hawaiʻi over a six-month period, with the best viewing months from mid-December through mid-April. 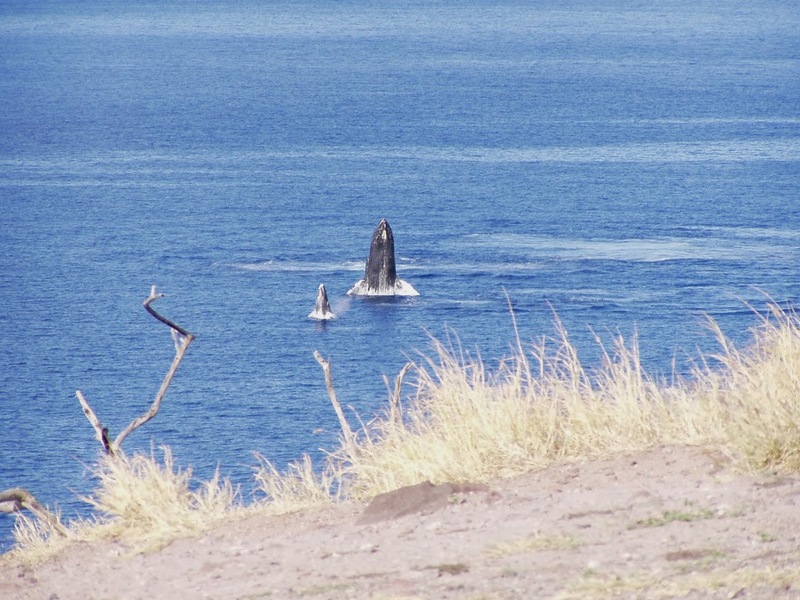 The image shows whales from McGregor Point (cphamrah.) In addition, I have added related images in a folder of like name in the Photos section on my Facebook and Google+ pages. The Honolulu Advertiser of September 24th, 1859 gives an interesting, history of the “Consummate Scoundrel.” About the year 1852, he was “unfortunate as to mistake a few horses belonging to a neighbor for his own, and sold them accordingly, pocketing the cash.” Unfortunately again for the world, he escaped prison by a flaw in the indictment and fled from danger. The young Hayes received his education at Norfolk, Virginia, and later was appointed to a cadetship in the US Revenue Service, where he served with honor and promotion. Subsequently, he resigned and became Captain of one of the Great Lake steamers, but afterwards – about the year 1854 or 1855 – he joined the US Navy, where he is reported to have served with credit under Admiral Farragut. It has been alleged he was a man of aliases, however, these seem to be limited to “Captain Henry Hayes,” “Captain William H Hayes,” and “Captain W. H. Hayston,” as he was called throughout the South Pacific and officially announced in the reports of the British Admiralty for the years 1874-1875. His first venture in crimes on the seas was typical of much to follow. On a trip to San Francisco, he had so hypnotized a fellow-passenger (it seems he was a gentleman of means ready for an investment) that he agreed to establish Hayes’ “wife” (who afterwards remained there) in the liquor business, which, it seems, was quite to her taste. Blackbirding is the recruitment of people through trickery and kidnappings to work as laborers. The practice occurred between 1842 and 1904. Those ‘blackbirded’ were from the indigenous populations of nearby Pacific islands. Hayes had ship after ship, but title for each was often questionable. Over the years, he traveled the Pacific Ocean between California, Hawaiʻi, Australia, New Zealand and the Caroline Islands and would cause islanders to hide in fear of being kidnapped and shipped off to be a laborer on some distant plantation. Hayes (and glimpses of his story) was later portrayed by actor Tommy Lee Jones in the 1983 film, “Nate & Hayes”. The image reportedly shows the only image of Bully Hayes. In addition, I have added other related images in a folder of like name in the Photos section on my Facebook and Google+ pages.